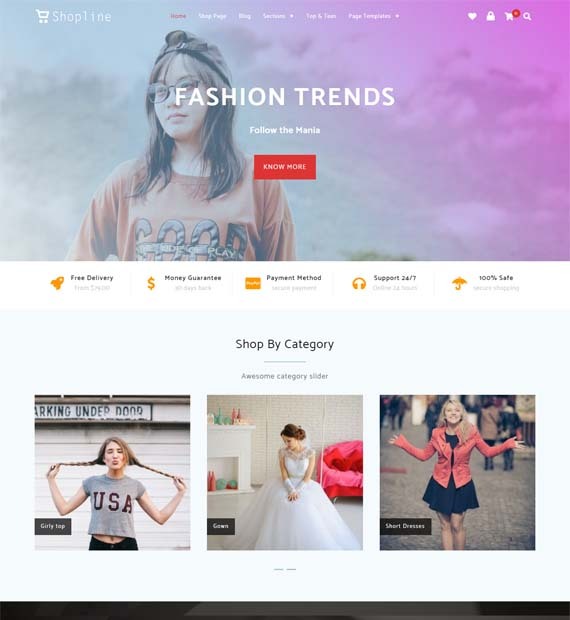 Shopline is a free WordPress theme that is perfect for a business website. This WooCommerce compatible theme has a clean and modern design. Since it is responsive across all devices, your visitors will be able to shop straight from their phones. Shopline also comes with a drag-and-drop page builder as well as one-click setup making it extremely intuitive to set up and use. With a ton of features such as flex sliders, gradient overlays, unlimited color options, and a number of widget areas, Shopline will ensure that your website looks and feels fantastic.